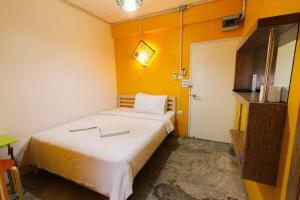 Situated 500 metre away from the popular Khao San Road, Very Thai House offers private and dormitory rooms. 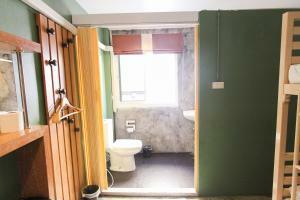 It has luggage storage facility and free WiFi in all areas, which is available throughout the property. Very Thai House is only 1.5 km away from Grand Palace and Wat Pho Temple. Suvarnabhumi International Airport is a 50-minute ride away. Modern rooms are equipped with air conditioning and a TV. All en suite bathrooms come with shower facilities. For meals, guests can enjoy both Thai and international favourites served at the restaurants located around the residence. Offers air conditioning, a TV and an en suite bathroom. Rate: THB 990.00 ... THB 1487.50; select dates below to get current rates. Larger than Standard Double Room and offers air conditioning, a TV and an en suite bathroom. A sofa seating area is included. Offers air conditioning, a TV and an en suite bathroom. 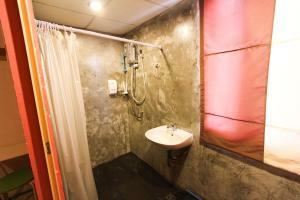 Room can accommodate up to 3 persons.